RAGETRADES! YOUR SOURCE FOR RAGE of BAHAMUT INFO, HELP and TRADES: RAGETRADES CLASSIFIEDS HAS A NEW LOOK! RAGETRADES CLASSIFIEDS HAS A NEW LOOK! 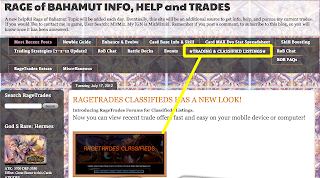 Introducing RageTrades Forums for Classifieds Listings. 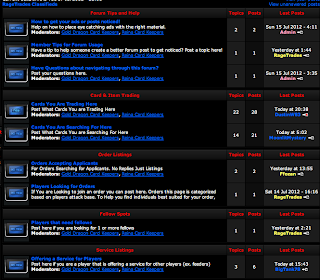 Now you can view recent trade offers fast and easy on your mobile device or computer! New* Price Check Feature for Members - Find out how much your specific cards are worth! 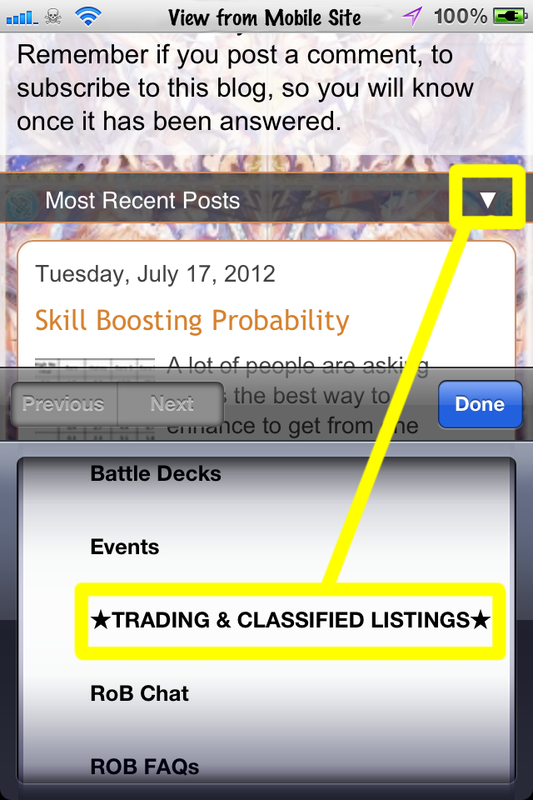 By Selecting the ★TRADING & CLASSIFIED LISTINGS★ Menu Option. maybe i am the only one but. Lol well I suppose I could always edit the color. The thing that always bothered me about FAQ is how there isnt any organization. Also keep in mind the forum hasn't even been up for a week and already 70 users have registered. There's nothing wrong with using more than one forum. I know I have personally placed ads in numerous places when I really wanted something. Plus the features this site allows u to add such as links, pics, etc.. Isn't always available in others. But again doesn't hurt to post an ad in more than one place.